Not top of the world but close to heaven! 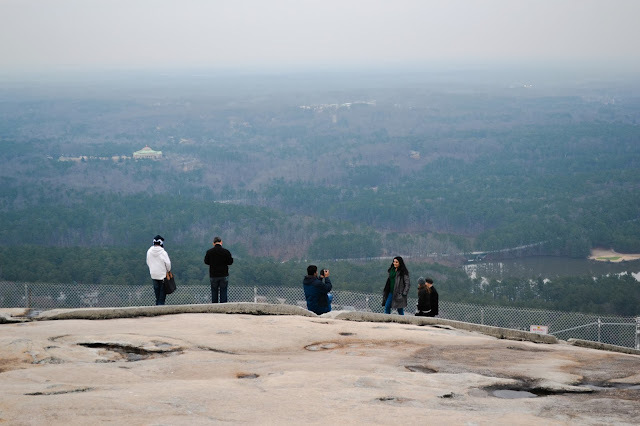 Stone Mountain is a mountain summit in DeKalb County in the state of Georgia (GA). Stone Mountain climbs to 1,686 feet (513.89 meters) above sea level. There are two ways to get to the summit. 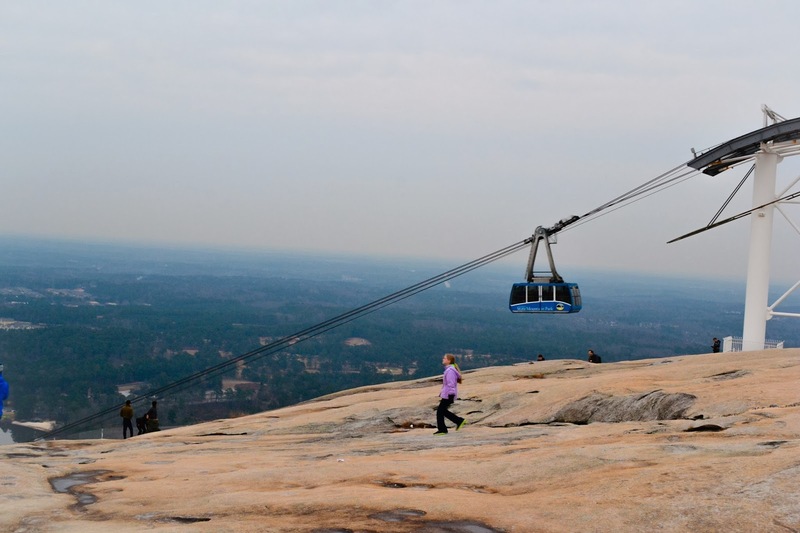 You can hike to the top of Stone Mountain by using the walk-up trails or you can be transported to the top in a high-speed Swiss cable car. 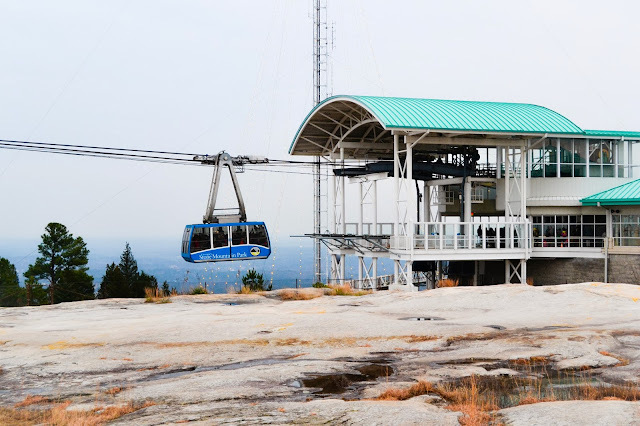 The Summit Skyride cable car provides a stunning view of the Confederate Memorial Carving as it transports guests more than 825 feet above ground to the top of Stone Mountain. 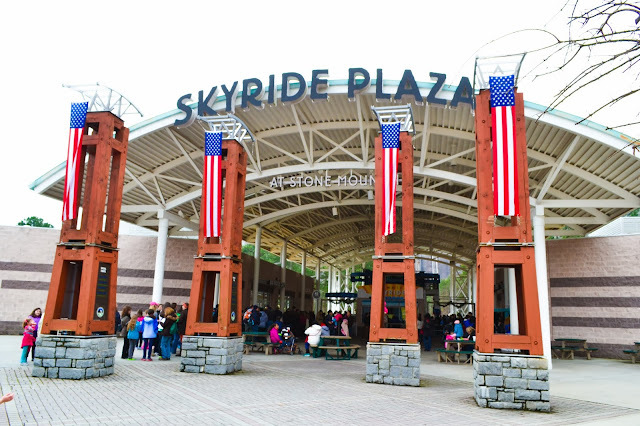 From the top, experience amazing views of the Atlanta skyline, the Appalachian Mountains and more up to 60 miles away. 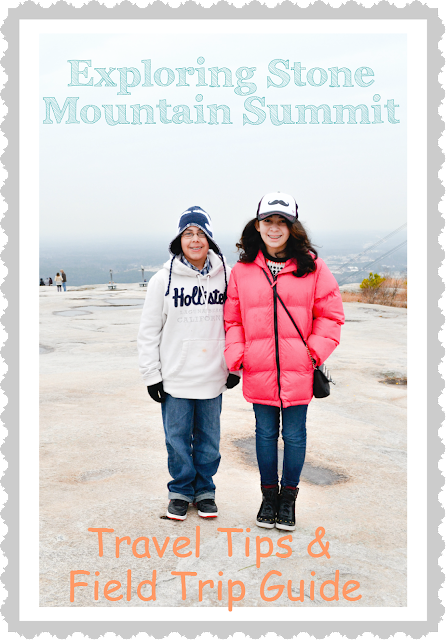 Taking kids to the summit is a wonderful opportunity to teach then about geology, exploration, history, transportation, conservation, and environmental protection. 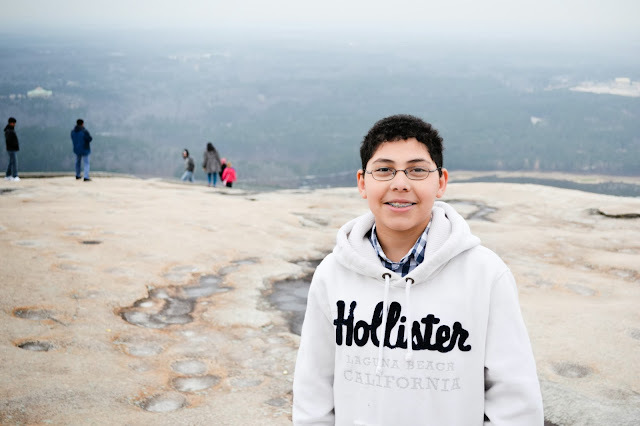 Stone Mountain Park offers several GPS aligned educational programs and special events that are interactive, hands-on and fun for classes from kindergarten through high school. You may choose from one of their daily structured field trips or sign up to attend our annual Indian Festival & Pow-Wow in November. This special educational event is a wonderful celebration and exploration of Native American culture. 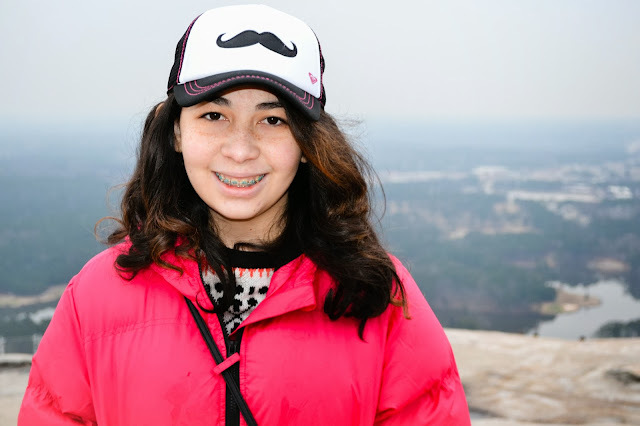 Homeschool students may also participate in any of these education events or attend a special Homeschool Day at the park. 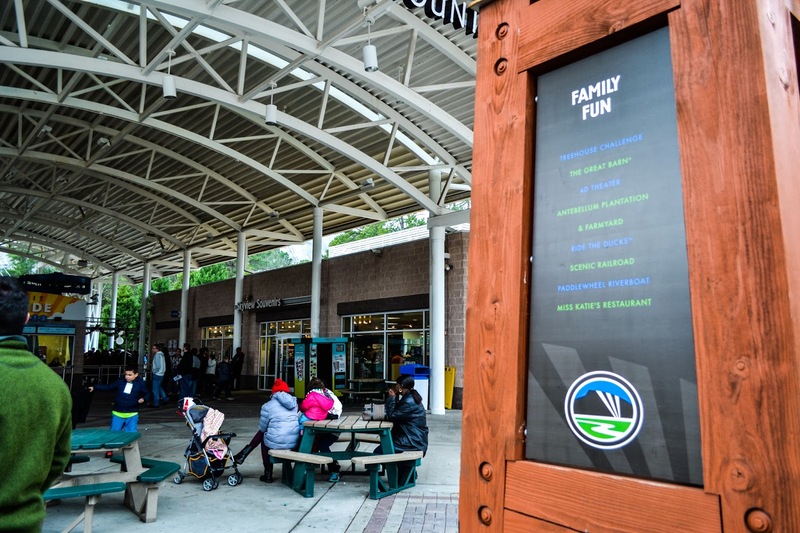 They also have ticket options for daycares and offer opportunities for learning about science, geology, environmental science, ecology, social studies and Earth Day with programs at Confederate Hall Historical & Environmental Education Center. a pre and post activity guide according to your child grade level. Eighth Grade - Nothing offered at this time. Please remind your students to wear appropriate shoes and to bring water, a walking stick and a snack if participating in a long program! You can buy food once you are in the top so make sure to bring some cash. Also, bring quarters if you want to use the high-power binoculars that offer magnified views at the top of the mountain. After visiting Stone Mountain summit don't forget to visit the Confederate Hall Historical & Environmental Education Center. The recently renovated Confederate Hall has over 5,400 square feet of interactive exhibit space, multiple state-of-the-art classrooms, a theater and offices for the Stone Mountain Memorial Association. 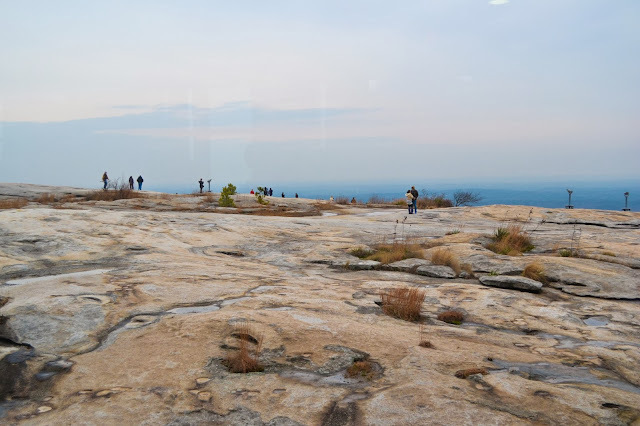 The focus of Confederate Hall, located at the base of the walk-up trail, is to educate Park guests and local students about the fascinating geology and ecology of Stone Mountain. 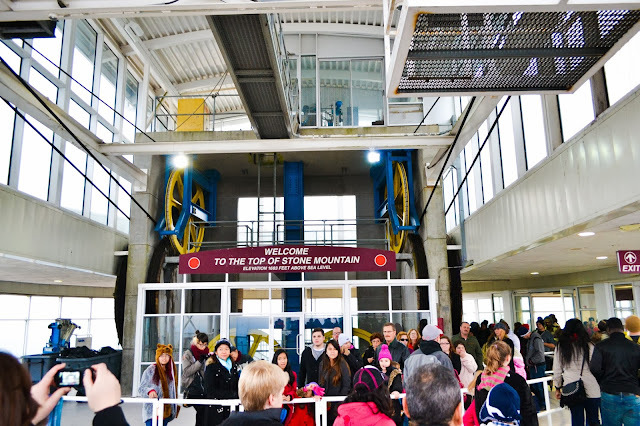 Visitors can explore the gallery, experiencing everything from interactive science exhibits to the life-size cave with a video about the origin of the mountain. Guests can also view the educational documentary “The Battle for Georgia – a History of the Civil War in Georgia,” which has been updated to a large screen video format in the new Confederate Hall Theater. The 25 minute film is narrated by Hal Holbrook and features hundreds of archival photographic images and reenactment footage from the Civil War. In addition, guests can learn how the Confederate Memorial carving came to be by viewing the 11-minute feature film "The Men Who Carved the Mountain". For further information and programs at the Historical & Environmental Education Center please visit www.stonemountainpark.org.